Powerline conditioning: Blue Circle FX2 6 X0e, Blue Circle BC86 MK5. Room size: 11x18x8’, long wall setup, suspended hardwood floors with large area sisal rug, walls are standard drywall over fibreglass insulation. One of the aspects of reviewing I particularly enjoy is the opportunity to cover products from all over the world, in many instances from companies that have little to no presence here in North America. The flow of interesting and innovative audio products from Eastern Europe and Asia (other than China) continues to amaze. Poland especially is a hotbed of high-end audio activity. 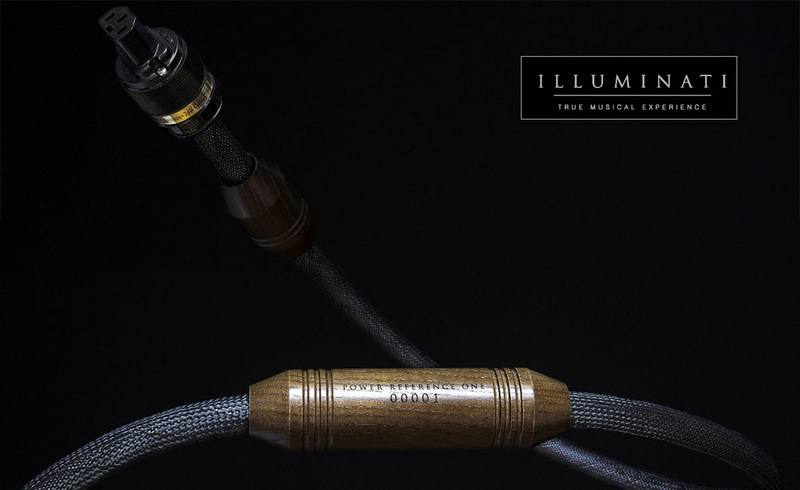 Hence the subject of today’s piece, the Audio Illuminati Reference One power cable, hails from the land of Chopin. 7. Elimination of internal high-frequency interference. Piotr further elaborated on his design choices. “From a technical point of view, the cable is designed for quick and lossless transmission of large amounts of energy. The wire itself is directionally optimized 5N purity copper produced in the United States. The geometry and shape of the wire can be described as multi-strand solid-core as each of the three conductor bundles (hot, neutral and earth) consists of several solid core strands having a diameter of 0.8mm, each slightly twisted around Teflon core. The three conductor bundles are twisted relative to each other and to three bundles of natural linen which helps absorb internal micro vibration of the cable. The cable has a triple screen which consists of an aluminium foil and two densely woven copper braids. Heavy shielding helps to secure from phenomenon in which a cable acts as an antenna picking up unwanted signals."